While 2011 was filled to the brim with fantastic games, it also had its fair share of disappointments. Some games mislead us, at first looking fantastic, amazing, and super fun, but by the time we sat with controller in hand and a day’s worth of soda and snacks we found that these games just didn’t live up to our expectations. Some of these were half decent in their own right when not taking things such as previous games in the franchise into account. Others were just downright awful. Here’s our list of makes the cut and what simply didn’t. One of the most disappointing games by far was the sequel to Dragon Age: Origins, Dragon Age II. Maybe if we hadn’t had such high expectations we wouldn’t have been so vastly disappointed. But the truth of the matter is that Dragon Age II didn’t live up to its predecessor in any way. Story was sacrificed for having the main character speak. Less time spent traveling meant no world exploration and the same levels and areas seen over and over again. The plot was rather scattered and tied together only loosely in the end. Dragon Age fans and fans of the western RPG were all disappointed, wishing their new favorite franchise had at least made it up to par with the first game. But with the end the game felt more like a teaser for some yet to be announced next game, the ending not even feeling like a cliffhanger, but a trailer for another game. It isn’t surprising that this game made the most disappointing list. After all, it was in production for so long that another generation of gamers came around with little to no experience with the previous Duke Nukem titles. Both engine, graphics and storyline felt as disjointed and drawn out as it really was. It wasn’t very difficult to see that multiple teams worked on Duke Nukem Forever, or that it was put down, handed over to new teams and eventually picked back up again multiple times. That didn’t mean that we didn’t try it out though. But even though we all wanted it to be as great as our hopes were calling for, no amount of wishing could change the fact that Duke Nukem Forever were sorely lacking in just about every area. Admit it. You were jumping up and down waiting for the game to release after seeing that initial trailer with the little kid that turned into a zombie, weren’t you? Unfortunately gameplay couldn’t have been more different from the trailer. The beautiful paradise was only seen in initial stages. Quests were frustrating and felt more like those annoying side quests found in poorly designed MMOs. Characters were also very flat. Perhaps most disappointing was the fact that the amazing destruction we were promised in game turned out to be practically non exsistent. Zombies didn’t react to hits on individual body parts. The weapons themselves broke faster than you could find a new one and tended to do less damage than they should have. 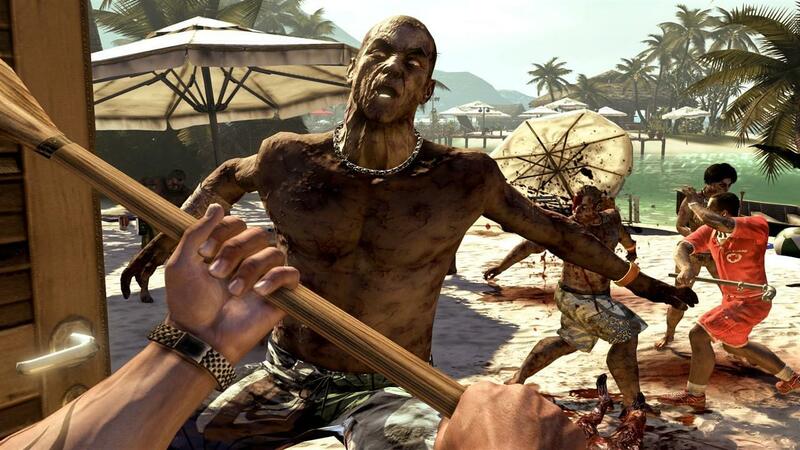 Dead Island, while at first seeming like the perfect addition to the zombie video game world, turned out to be just another flat, want to be gaming favorite. This is a case of okay, but definitely not what we were expecting. RAGE was supposed to be amazing, super, everything anyone could want in a game. But in the end it was buggy and sorely lacking in many of the things we were promised. Graphics weren’t nearly as good as they were supposed to be. A major update had to be released not very long after the initial release of the game. But maybe the most disappointing aspect of RAGE was that the storyline that we were so looking forward to just wasn’t there. It didn’t make you want to keep playing or care for the world and its inhabitants. All that kept us going was that hopefully the game would improve and magically turn into the exciting game that we saw in trailers. This was another game that I had high hopes for. Sadly I found myself saying more of ‘Oh, hey. Unreal Engine,’ more than ‘Man, what a great game.’ The story was pretty much nonexistent. And while doing trick shots and other crazy things was fun for a while, we didn’t really have a reason to keep coming back and playing more. The fantastic, amazing, best game of the year we were hoping for when trailers first aired never happened, leaving us disappointed and hoping that, maybe someday, a similar game will be released with the same basic concept but have unity and cohesion to make all the elements stick together and feel like a well-planned, well thought out game instead of feeling like there was something that got left behind in the developing stage. There were many games that were released over the course of 2011 that we loved, some that were disappointing and others that we’d all just like to sweep under the bed and forget. Every gamer will naturally have different opinions and hold games to different standards, but those shown here are some of those that simply can’t be completely saved by any amount of ‘but it wasn’t too bad.’ For better or worse, these were too bad. Hopefully developers everywhere will take some notes from these games and not make the same mistakes they have. All we can do is wait and see what 2012 will bring.